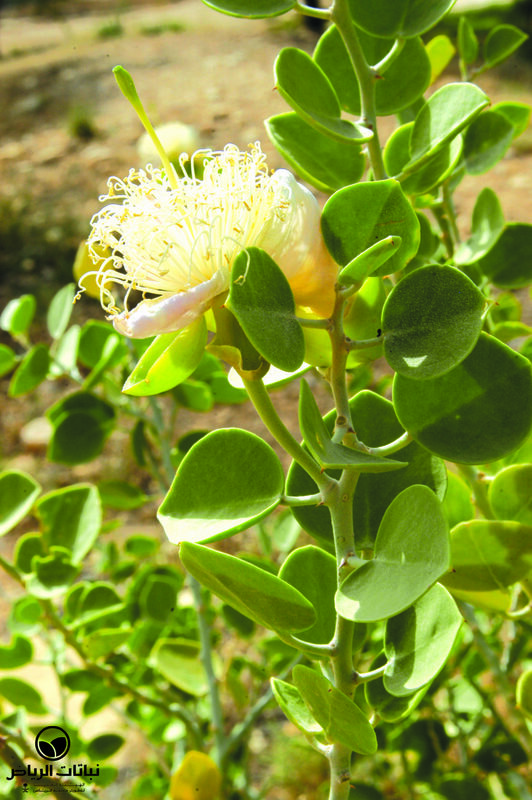 Capparis spinosa has the common Arabic names shaflah, lasaf and malat. 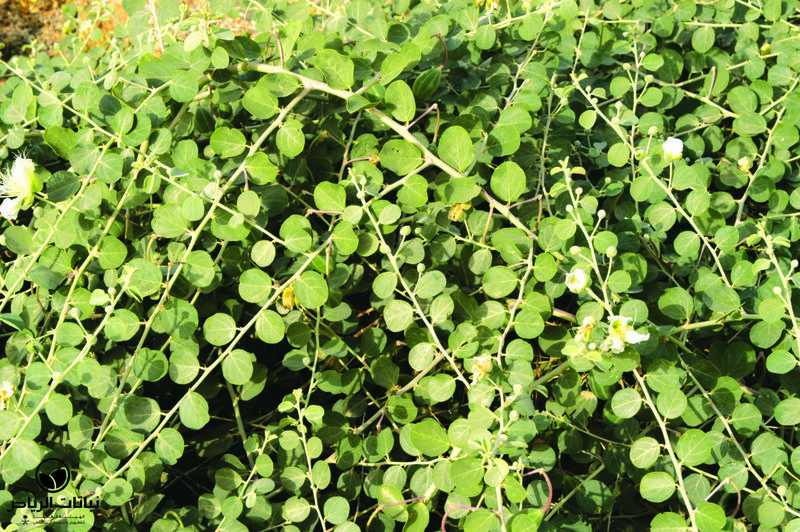 The shrub grows slowly to a height of 1 metre. 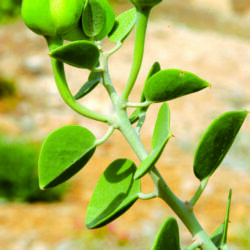 It can often be seen in Arriyadh, particularly in cracks on the rocky edges of wadis. 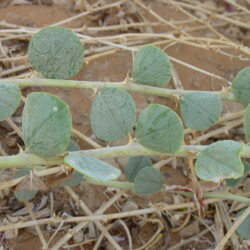 The branches with tiny spines in pairs grow from the ground and the 2–4 cm-small leaves are alternate; they have an ovate form and grey-green colour. 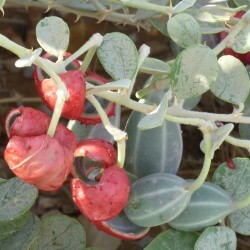 The flowerbuds can be pickled to make capers, used in cooking. The beautiful flowers have four petals with stamens almost as long as the petals. 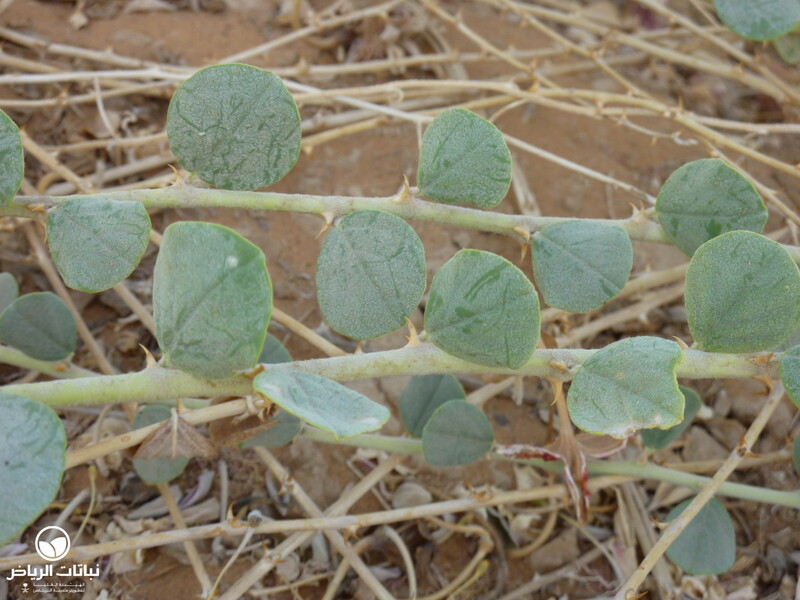 The shrub is propagated by seed and cuttings. 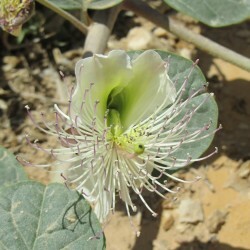 Capparis decidua has a number of common Arabic names including kerda and karir. 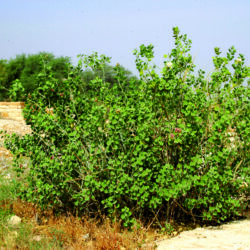 The generic name is derived from the Arabic kapar. 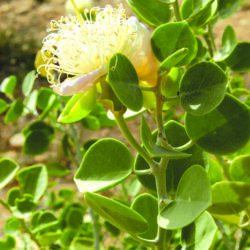 It is a slow-growing, small tree or shrub reaching a height of 5 metres and thrives on shallow, hard soils and stony outcrops. 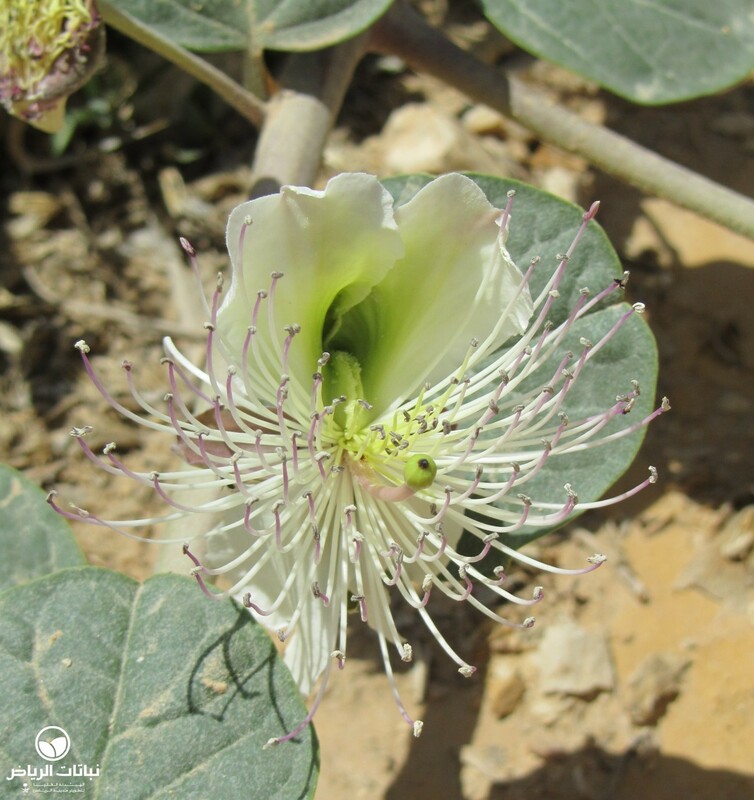 The Capparis is native to arid zones growing on rocky, clayey and silty soils in Africa, the Middle East and southern Asia. 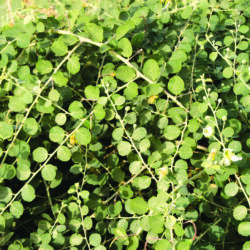 The branches seem to be leafless, because the leaves are only 2 mm in size. The bark turns silver-grey with time, and tiny spines in pairs are distributed over the branches. The flowers are bright red and conspicuous, and appear in small groups in spring and summer. 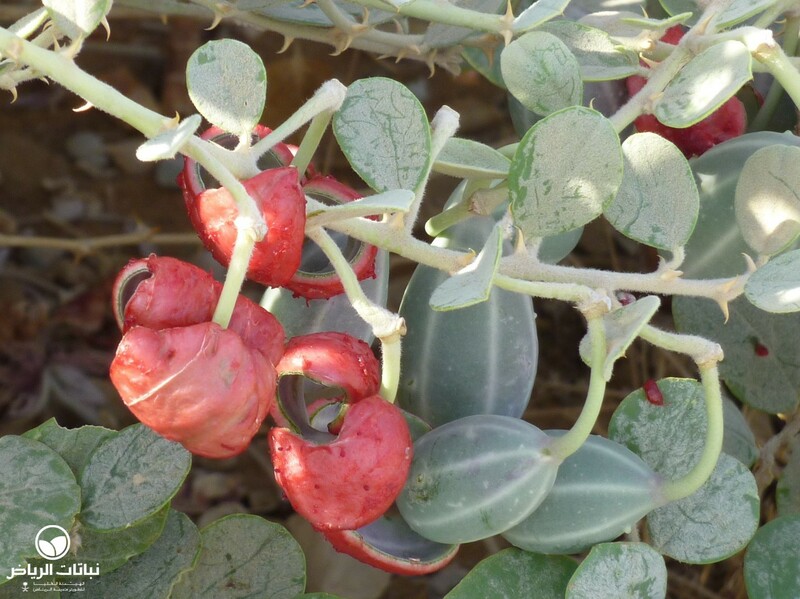 In Africa, the fruits are used for camel fodder, where it is a very popular and useful plant in agroforestry. 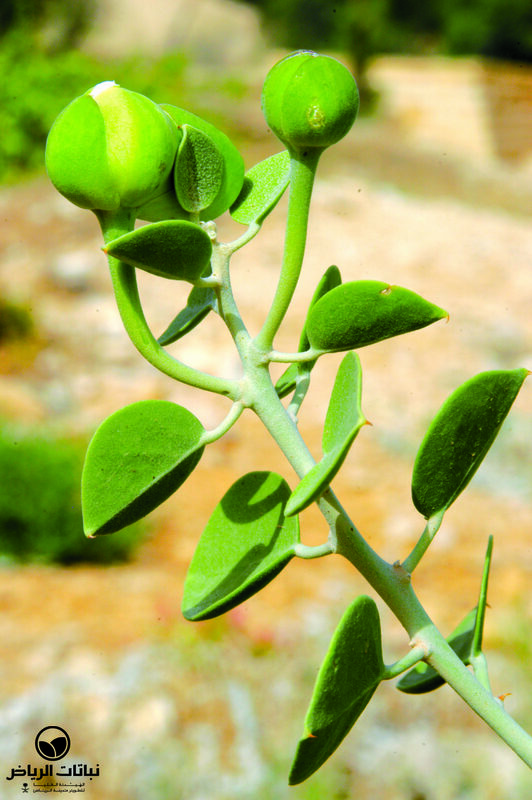 C. decidua grows on alkaline, sandy and gravelly soils. It is well adapted to drought, fire and frost. 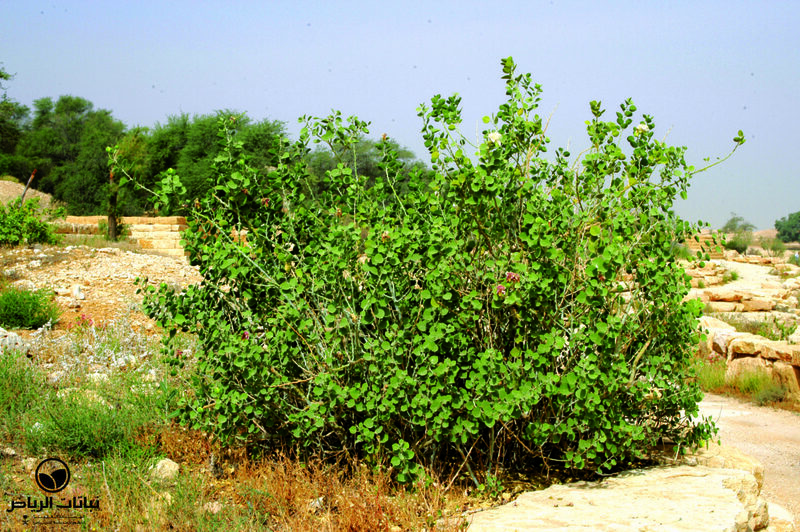 Both Capparis species are valuable for landscape design, afforestation and planting for erosion control. Low maintenance requirement.